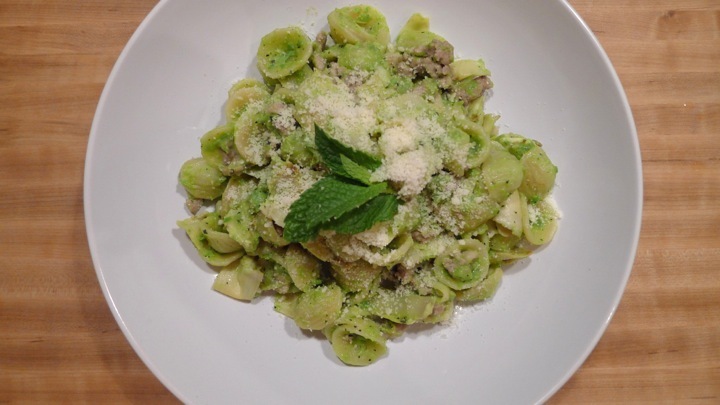 This was a random weeknight pasta that was created using existing ingredients in my fridge. Sometimes I think the best meals are made that way- by grabbing what you have and experimenting! My mom is really great at opening the fridge and making something out of nothing, so maybe I picked this skill up from her (hi mom!) The whole meal took about 30 minutes and was really great. The pea and mint sauce gave it a fresh Spring taste. I think it would actually be a nice cold pasta salad as well, maybe swapping out the sausage for cherry tomatoes. 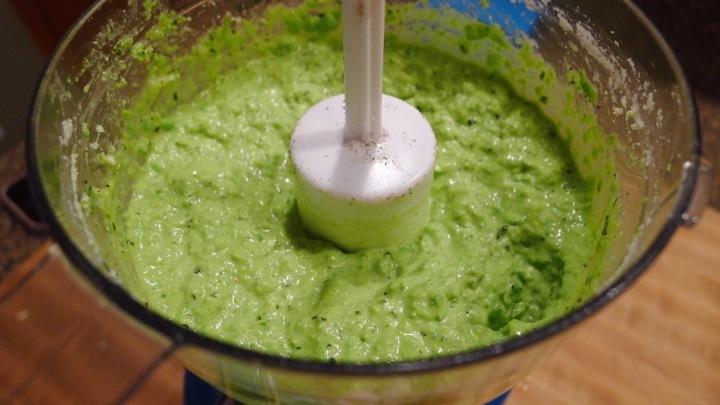 Start by making the pea and mint sauce. 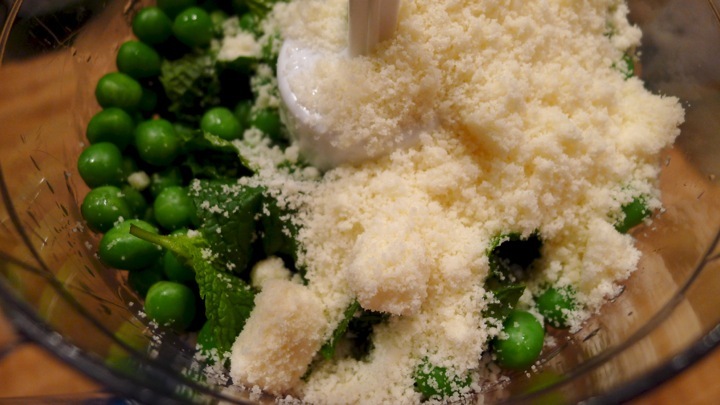 Add the peas, mint, and Parmesan cheese to a food processor and blend until combined. With the motor running, add the olive oil until smooth. It will be a thicker sauce. Salt and pepper to taste, then set aside. Next, add the pasta to a pot of salted boiling water and cook per the box instructions. At the same time, brown the sausage and artichokes in separate pans. 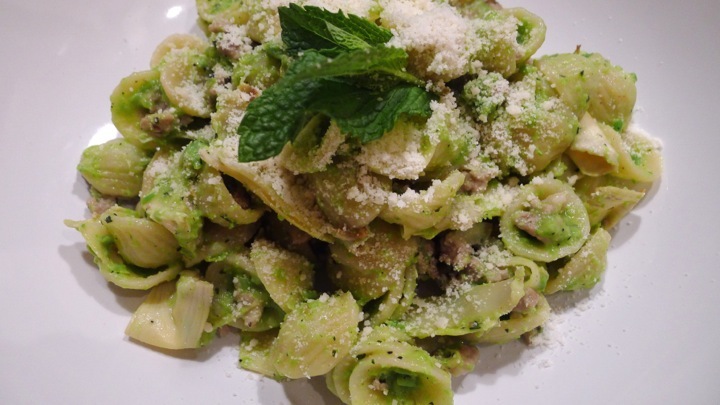 Once the pasta is ready, toss with the pea and mint sauce then add the sausage and artichokes! Top with a little grated cheese.